A lot of time has passed after the very first Cry Baby. The unit that turned everything upside down, won the hearts of thousands and maintains its popularity till this day. Amongst copious choices of wah pedals, this name is still the star of the show and stands out a great deal. Dunlop has manufactured numerous variations, with different set of features and capabilities. If you ask me, they develop their Cry Baby line more and more with every new model. They always try to perpetuate the vintage feel and vibe, while adding modern touch that is needed to be relevant on the contemporary market. 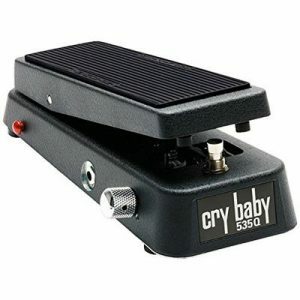 Today I will single out their Cry Baby 535Q – one of the best wah pedals out there. If you have owned at least one product from Dunlop, you will know what kind of unit I am presenting to you. This bad boy has all the properties you could ask for, and maybe even more. Sometimes you do not know that you require extra features unless you try them out and forget how you lived before them. In this article, I will talk about the traits and details of Cry Baby 535Q, so that you can decide for yourself if it truly rocks. If you think that companies never listen to their customers, you are utterly wrong, my friend. We have seen numerous examples over the years, and Cry Baby 535Q is undoubtedly one of them. Before manufacturing new product, Dunlop scrutinized the feedback of musicians and put together the pedal according to their suggestions. That is why the unit we are talking about today is so fitted to the everyday needs of a guitar player. After all, the brand calls it Swiss Army Knife for a reason. What is more, the weight of Cry Baby 535Q depicts the quality of the shell and interior as well. Though it will not break your back, this fella is heavy. It features classic Cry Baby design, with the logo situated on the front of the pedal. But that is not the best part. Things get a bit more interesting when it comes to the sonic options this bad boy carries. It has 6 different frequency ranges along with variable wah Q, meaning that you can choose your own tonal flavor and fine-tune your sound easily. It also features boost circuit, which can boost your signal with up to +18dB and make up for any audible volume loss. And let’s not forget that it can be powered with a single 9V battery (there is a battery compartment, so you will not have to unscrew anything when the old one is drained) or a standard power supply. It has true hardwire bypass which means your signal will not be compromised when the pedal is disengaged. As you can see, Cry Baby 535Q does not lack versatility. Everything gets even better once you plug it in and actually listen to what it offers (more on that in a bit). Cry Baby 535Q offers substantial amount of control over your sound. Though you will not find ample knobs and switches, the ones it has are not as typical as we are used to. They have unique functionalities that contribute to distinguishing your wah sound. Available controls are easy to understand and tweak (and that is the case with almost any wah pedal), it is the actual utilization that gets a bit tricky (but I cannot help you with that). There are four basic controls that you will have to adjust in order to create desired flavor of the effect. Range Selector allows you to choose different center frequencies and, thus, move your wahs from one realm to another. Volume modifies the amount of gain added to your sound by the Boost switch (0 to +16dB). The latter is situated on the lower part of the pedal and it takes a simple push to trigger the boost circuitry. Lastly, we have the Variable Q, which adjusts the width of the bandpass, and changes the character of your wahs. Can such a badass Cry Baby sound like a crap? I do not think so. To put the assumptions aside, 535Q can truly help you to up your game and will engulf you with wonderful sounds. Just like typical wah pedals, it can create all the sorts of ‘wacka-wackas’ and ‘wah-wahs’. But it goes even further and produces diverse sounds with the help of scrupulous tuning options. The Range selector takes you from defined low-end all the way up to screaming high-end harmonics. The changes this control makes are extremely audible even with the slight twists. The Variable Q is another versatile feature, since it can emit gentle weeps with mild sweeps, or sharp and refined vocal-like wahs. It can mould any type of the effect, it all depends on the settings you choose. Keep in mind that your playing techniques and treadle motions will change the end result of the pedal as well. The boost feature is very handy, since it compensates for volume loss and evens everything out perfectly, thus adding nice amount of sustain. All in all, Cry Baby 535Q is truly a distinctive member of wah family and can even change your life if utilized correctly. If there was a catastrophe in which all the wah pedals were destroyed and only Cry Baby 535Q remained, the music world would still hear wonderful riffs and performances. The exaggeration aside, this bad boy knows what to do with your sound. It is simple in itself, but still requires a certain level of craftsmanship in order to unleash its full potential. After all, wah pedals are not that easy to nail. But that is not Cry Baby 535Q’s fault. That is just how things work. If you decide to incorporate it in your rig, you will open yourself up for countless possibilities. Good luck! 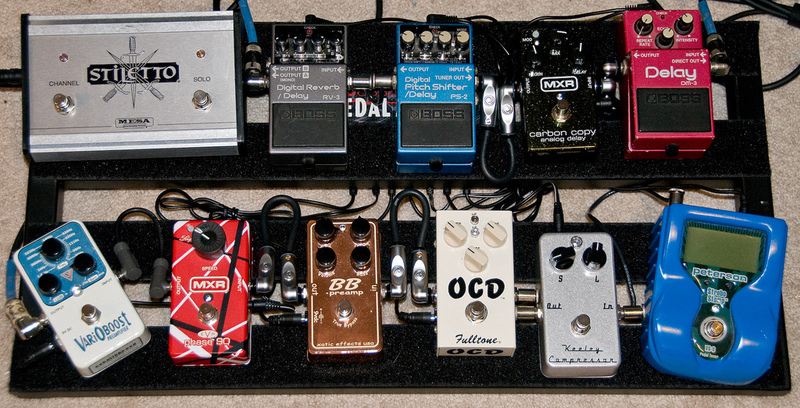 Click here to view more from 10 Best Wah Pedals.